Sept. 24, 2015, 9:43 a.m.
What does everyone use? I've always just used a Garrison Loop Cable and a Heavy Duty Master Lock but I rarely leave my bike anywhere that is not secure. I don't usually even carry a lock because at work my commuter is in my office with me. I just moved into a new building though and my commuter bikes will be going into a shared bike compound that is relatively secure (inside the parking garage and inside a locked steel cage) but it's made me think about upgrading my locks. What's everyone's opinion on what the best locks on the market are right now? Sept. 24, 2015, 11:17 a.m.
My best lock is me sitting on my bike . Sept. 24, 2015, 11:26 a.m. Awesome. Can I pay you to sit on my bike in my bike locker at night? That really would be the best bike lock. I'll warn you though that sometimes when it's raining I don't ride my bike for a few days and there really isn't much to eat down there. Sept. 24, 2015, 11:54 a.m.
Sept. 24, 2015, 1:45 p.m.
Sept. 24, 2015, 2:25 p.m. It's really heavy so I leave it at work but when I need a lock on the go I use an Abus folding lock. A determined thief could grind through either of them but at least they are both impervious to bolt cutters. Sept. 24, 2015, 3:04 p.m.
Sept. 24, 2015, 3:05 p.m.
+2 for sitting in my bike. I try to never lock it in public if I'm not around. Sept. 24, 2015, 3:18 p.m.
Sept. 24, 2015, 3:39 p.m.
We used to have to pop open heavy chain to get back out through locked gates after spearfishing along private coastlines. It took only seconds to open and surprisingly little exertion. 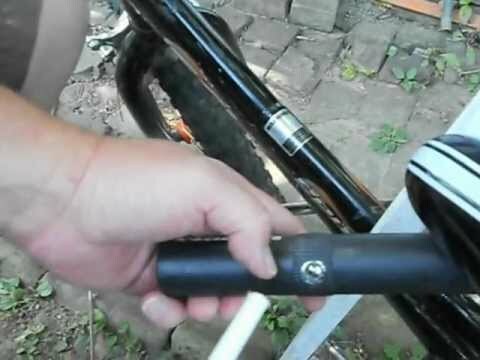 Ditto for pad locks. Even pretty thick cables can be cut in one go. Once tried to open an old u-lock lock at a friends repair shop. We put it in a large vise and pried on it with 3 guys on the end of an 8' pipe, nothing. Sledge hammered it, sawed at it with all manner of tools. Nope. If you're locking up a commuter those security bolt kits are great too. my guess is they are harden. maybe a carbide drill??? would take some time to do… just get a grinder, all locks can be cut fairly fast. Sept. 24, 2015, 4:07 p.m.
Kryptonite New York Series locks. Sept. 24, 2015, 4:29 p.m.
Sept. 24, 2015, 4:46 p.m. It was indeed one of those older locks that could be opened with a bic pen! This was before that method had been made common knowledge though. I actually opened up the twin of that lock with a bic pen years later. It was a very old Kryptonite and took bloody forever to open with a pen. Not at all like that Masterlock. Interesting video on YouTube after that clip. It's a bike thief cutting cable with a pair of stubby bolt cutters, when they search his bag there's a couple of pieces of cut cable from earlier heists. One of the cut cables in his bag is about as thick as they come. Last u-lock I bought was an orange Kryptonite Evolution, second one down from the New York. NY is just too damn heavy. Sept. 25, 2015, 12:44 p.m. I use a Kryptonite Evolution along with a cable which I loop through the loch and my rear wheel. My bike is also stored in a cage that has limited access. The only place I lock it is at work so I leave the lock there. No need to carry it with me.